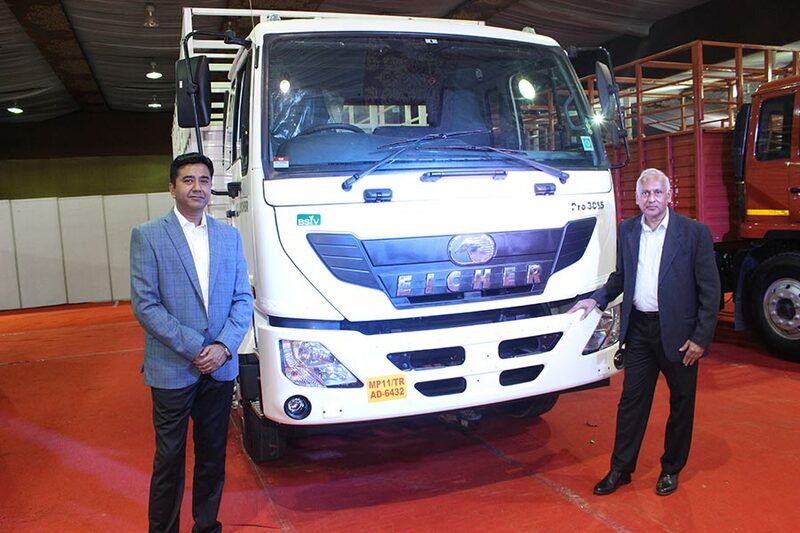 Eicher Trucks & Buses, part of VE Commercial Vehicles, organized the Eicher Pro Biz Expo – Smart Solutions for E-commerce Business, showcasing the largest range of Light and Medium Duty trucks, specially focused on catering to the buoyant e-commerce industry in the country. The company today showcased 5 new variants in the Pro 1000 and Pro 3000 series range – Pro 1110, Pro 1110XP, Pro 1110XP, Pro 3012/3014 and Pro 3015 at the expo. The Eicher Pro Biz Expo is being held at Dr. Prabhakar Kore Convention Centre in Bengaluru between November 22 -23, 2017. The expo is aimed at bringing together customers and key stakeholders in the e-commerce and logistics space, to provide them a first-hand experience of Eicher’s smart solutions like Aftermarket Lifetime Support System, telematics, and high end technology, among other features for their transportation requirements. These vehicles are specifically designed keeping in view the specific needs of the sector from long haul to short haul and last mile delivery. With these new additions, Eicher has further strengthened its position in the LMD segment and now offers the largest and widest smart range of trucks suited for voluminous goods applications. The new variants offer a 24-feet long cargo body, which makes Eicher the leading player in the industry to do so. Other benefits include higher Volume Space Index with best-in-class payload and fuel efficiency, offering great value and maximum profitability to the customer. Delivering high power and torque, the trucks also offer a cost-effective run with the longest service interval of 50,000 kms. The e-commerce industry in India is growing at an exponential rate of 50% every year and we believe in serving our customers by providing them with the right and practical solutions for their requirements. Leveraging our established strength in the LMD space, we have widened our offering to cater to the specific demands of the high potential e-commerce market. Eicher now offers the widest and strongest range in the Light and Medium Duty (LMD) segment with products ranging from 4.9T to 16T GVW, out of which we have displayed 13 vehicles today. We believe ours is the most compelling proposition for this segment of the industry. At Eicher Trucks and Buses, we have always been very progressive in our approach towards introducing new products and technologies to the market. The Eicher Pro Series developed and manufactured as a result of the synergistic working between the Volvo Group and Eicher, has been a great success. Specially in the light and medium duty segment our trucks, popularly known as “Mileage ka Baadshah” for delivering the best in class fuel efficiency, have witnessed a strong & steady growth over the last few years. Backed up with a strong after sales network and our proposition of Eicher Lifetime Support Solutions, we have taken one more step towards promising superior uptime for the vehicles and business profitability for our customers.